Turkey's Maarif Foundation has taken over the management of educational institutions once linked to the Gülenist Terror Group (FETÖ) in Pakistan. 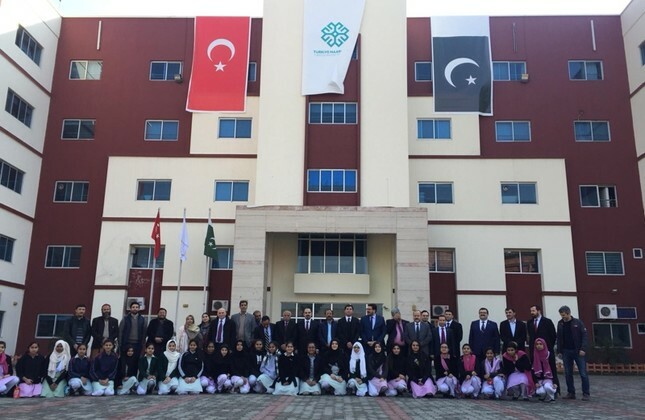 In a written statement Thursday, the foundation said Pak-Türk Çağ Education Foundation schools were handed over to Turkey's education body. Last month, the Supreme Court of Pakistan ordered the government to declare FETÖ a terrorist group and to ban its affiliated schools in the country. The high court ordered the transfer of FETÖ's "all movable and immovable assets," such as schools, colleges, education centers and other similar entities to the Maarif Foundation. After the top court ruling, the Interior Ministry of the country declared the Pak-Türk Çağ Education Foundation as a terrorist organization and banned its activities in the country. The government has also frozen the bank accounts of the FETÖ-linked foundation. Turkey established the Maarif Foundation in 2016 after the terrorist group's coup attempt to take over the administration of overseas schools linked to FETÖ. It also establishes schools and education centers abroad. FETÖ and its U.S.-based leader Fetullah Gülen orchestrated the defeated coup of July 15, 2016 in Turkey, which left 251 people dead and nearly 2,200 injured. FETÖ was also behind a long-running campaign to overthrow the state through the infiltration of Turkish institutions, particularly the military, police and judiciary.